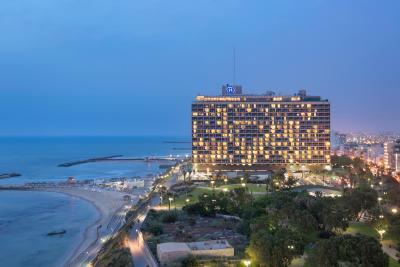 Lock in a great price for Hilton Tel Aviv Hotel – rated 8 by recent guests! 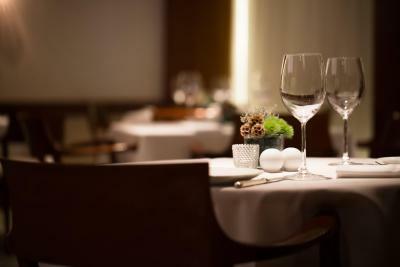 It’s a great place overall but time is tking it’s toll on the employees who are not eager to serve or be nice to the guest. Very professional though. Everything was perfect. The corner suit was very big and clean with an amazing view, the breakfast was great and the service was impeccable. 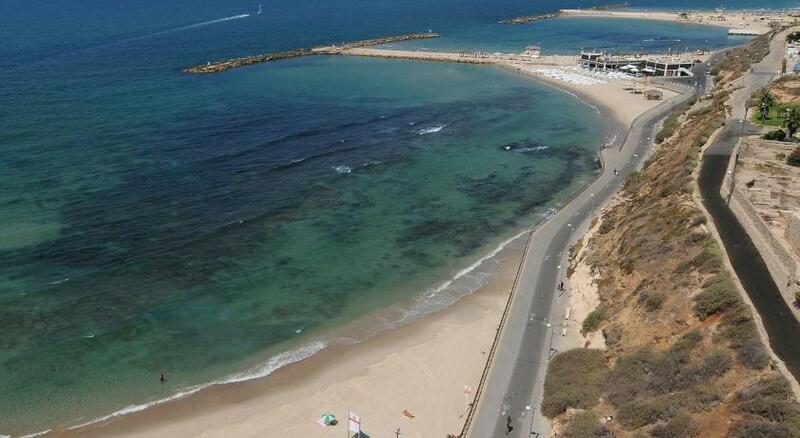 i liked the proximity to the beach, no need to cross a main road. very quiet hotel, away from the maddening crowd. room modern and very functional. we had a lovely room with front and side view and big bathroom which was wonderful. Breakfast one of the best in Israel. Japanese restaurant excellent. Golden key consierge well appreciated. good size pool for morning laps. Good location, right on the beach. Room is spacious and comfortable. We got the room on 12th floor on the same floor with the lounge so that was bonus. Very good hotel near the beach. we enjoyed so much the nice view to the see. good breakfast with a lot of choices . I forgot my jewelry at the safe and they kept it safe until i came back to take it. The hotel is run very professionally. Clean, beautiful views, good food, curtesy staff. Very enjoyable stay. Good breakfast, not som crowdy. Good area with a lot of restaurants. 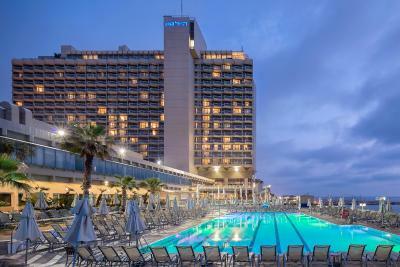 One of our top picks in Tel Aviv.Set within the Independence Park and providing direct access to Hilton Beach and Tel Aviv promenade, the Hilton Tel Aviv features a large outdoor salt water pool, 5 kosher restaurants and a spa. 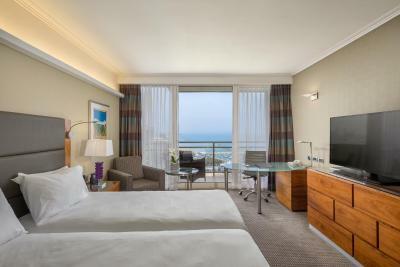 Its spacious air-conditioned rooms include a flat-screen TV and a private balcony with sea view. 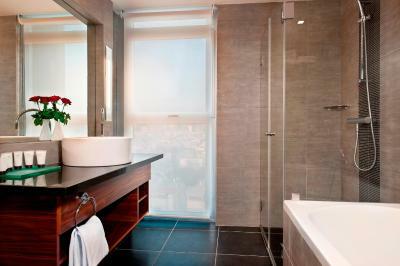 The luxurious marble bathroom comes with Ahava amenities and lavish bathrobes. 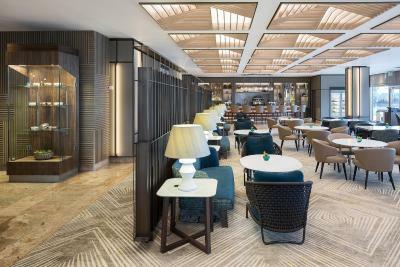 Some rooms include access to 2 lounges with free drinks, coffee and refreshments. 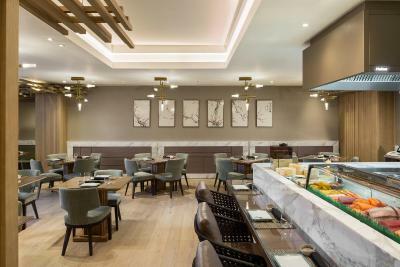 Guests can choose from a range of kosher dining options starting from breakfast in Café Med, a relaxed lunch in Yakimono Sushi Bar and an evening meal in the Chloelys Restaurant. 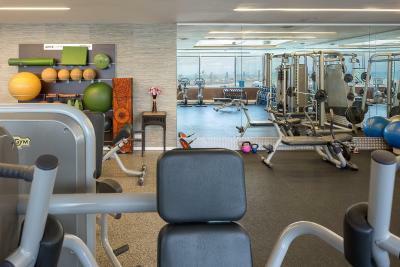 The Tel Aviv Hilton’s spa and wellness center features a well-equipped fitness room and various treatments and massages. 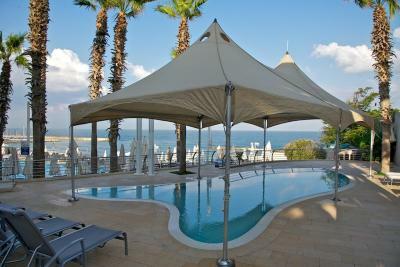 You can also relax and enjoy the sea views from the sun terrace with loungers and umbrellas. 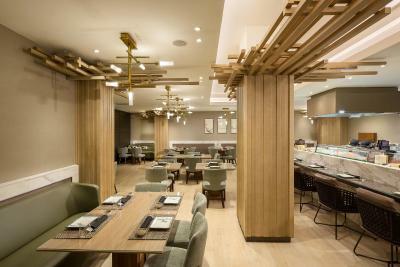 Hilton Tel Aviv Hotel also has a 24-hour lobby restaurant, synagogue and hair & beauty salon. 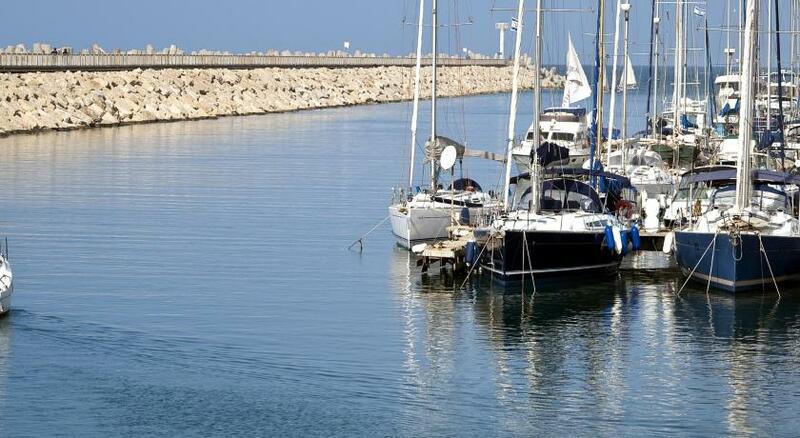 Hayarkon Park, which has botanical gardens and sporting facilities, is just a 10-minute walk away. 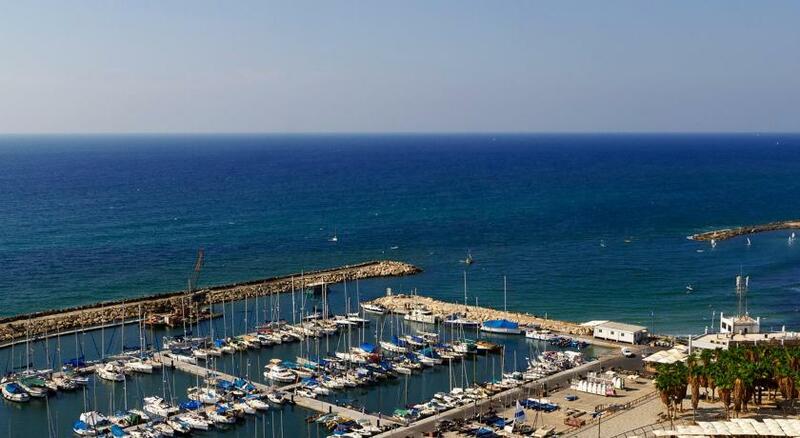 Ben Gurion Airport is a 25-minute drive away. 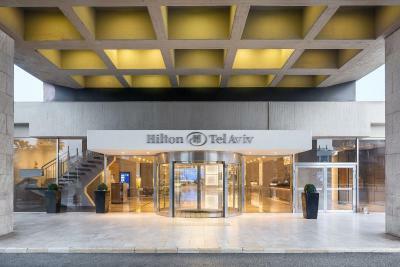 When would you like to stay at Hilton Tel Aviv Hotel? 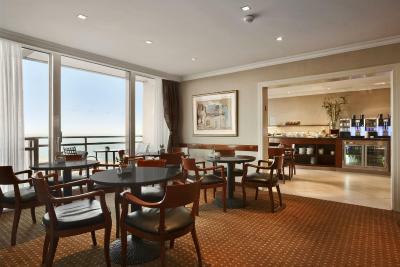 Large room with sea-view balcony and access to the 12th-floor Executive Lounge with complimentary continental breakfast and refreshments. 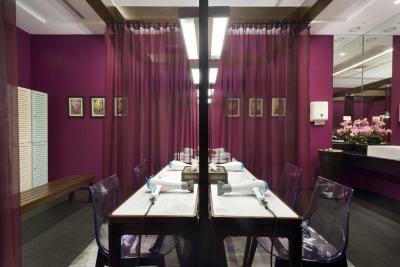 Guests can enjoy fresh fruit upon the arrival, while newspapers are available upon request. This large room has a sea-view balcony, a work desk with ergonomic chair, a satellite 42" flat-screen TV and an en suite marble bathroom. Fresh fruit is provided upon arrival. Newspapers are available on request. 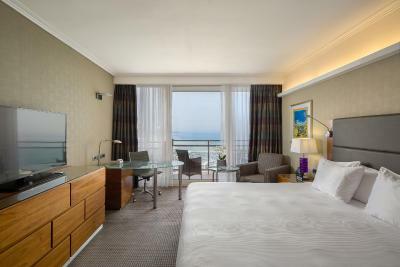 Featuring a balcony overlooking the Mediterranean Sea, this large suite offers access to the Executive Lounge on the 12th floor, with free breakfast and refreshments throughout the day. Guests can enjoy fresh fruit, chocolates, and wine, on arrival. 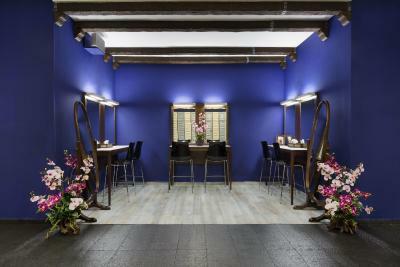 This room type is set on floors 11-12. 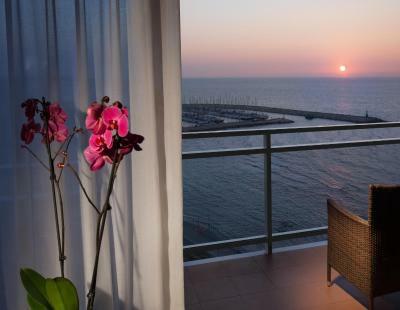 This spacious suite features a balcony overlooking the Mediterranean Sea and a separate living room. It comes with 2 bathrooms, 1 with sea views. 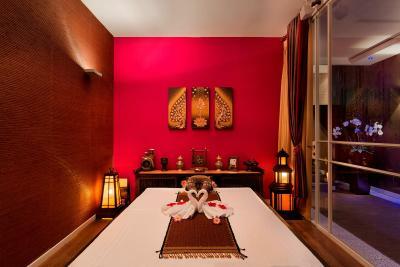 Guests can also enjoy fresh fruit, chocolates, and wine on arrival. 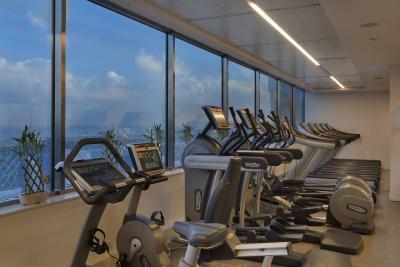 This spacious room with separate work area features large windows overlooking the sea. 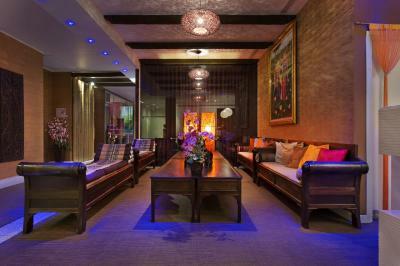 It offers access to the 12th-floor Executive Lounge, with free breakfast and refreshments. This spacious room features a balcony with sea views, a seating area with a sofa and a marble bathroom with bath and separate shower. Guests can enjoy fresh fruit, chocolates and wine on arrival. This room type is set on floors 3-10. 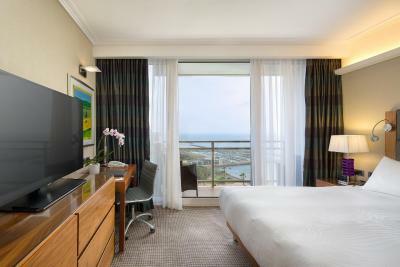 This spacious room features a balcony with city and sea views, a seating area with a sofa, and a marble bathroom with bath and separate shower. Guests can enjoy fresh fruit, chocolates and wine on arrival. This quadruple room features a balcony, soundproofing and electric kettle. This room with balcony features a sea view and free internet access. 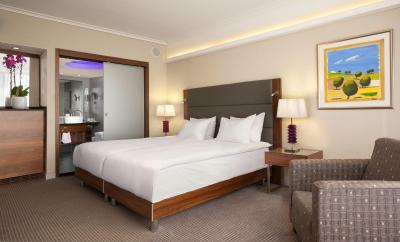 Bright and spacious room with balcony with a sea view and free internet access. It comes with a work desk with ergonomic chair, a satellite 42" flat-screen TV and an en suite marble bathroom. Fresh fruit is provided upon arrival. Newspapers are available on request. This spacious room features a balcony with sea view, a seating area with sofa and a marble bathroom with a bath and separate shower. 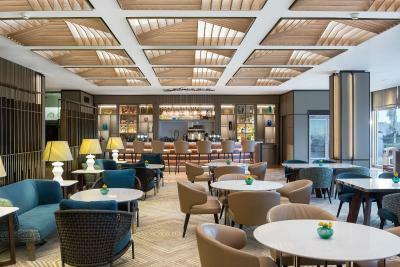 This suite includes access to the Executive Lounge on the 12th floor, with free breakfast and refreshments throughout the day. Guests can enjoy fresh fruit, chocolates and wine on arrival. Situated in a prime location in the Centre of Tel Aviv, overlooking the Mediterranean Sea, the Hilton Tel Aviv hotel is only a 1 minute walk from the beach. 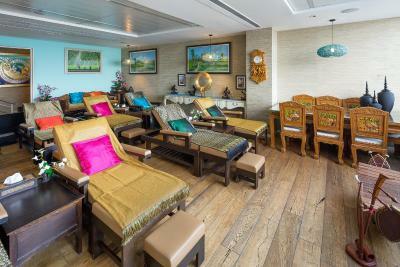 Relax by the outdoor seawater pool or indulge yourself with a massage at the Cybex Spa. 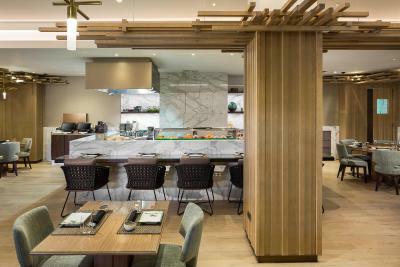 Feast on sushi at Yakimono Sushi Bar or Mediterranean dishes at King Solomon Restaurant. 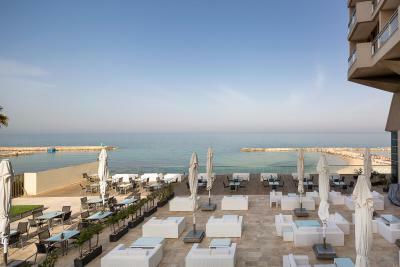 Our hotel has received the 2012 TripAdvisor Certificate of Excellence Award. 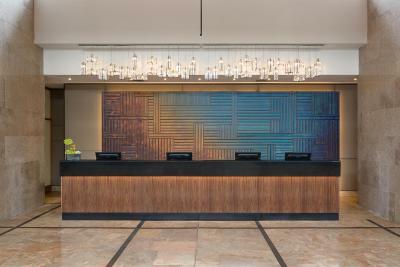 Our staff take great pride in consistently offering an exceptional experience to our guests. 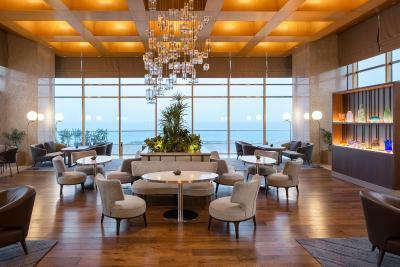 House Rules Hilton Tel Aviv Hotel takes special requests – add in the next step! 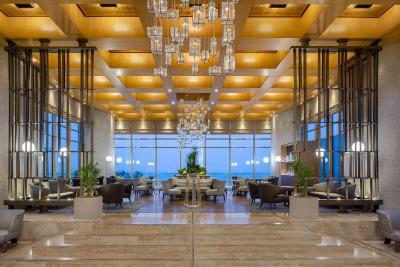 Hilton Tel Aviv Hotel accepts these cards and reserves the right to temporarily hold an amount prior to arrival. 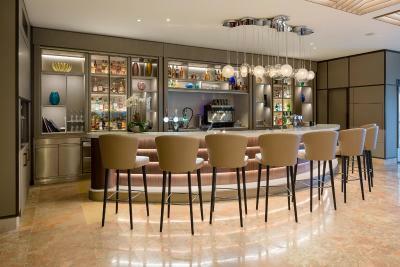 For guests booking rooms with access to the Executive Lounge, entrance is for guests aged 16 years and older. It is open from 06:30 until 23:00. 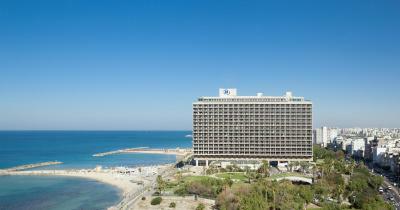 Please inform Hilton Tel Aviv Hotel of your expected arrival time in advance. You can use the Special Requests box when booking, or contact the property directly using the contact details in your confirmation. Our Children did not like the saltwater pool, it was too salty for diving. Breakfasts not to my liking By that a matter of choice. Service and a smile every now and then. 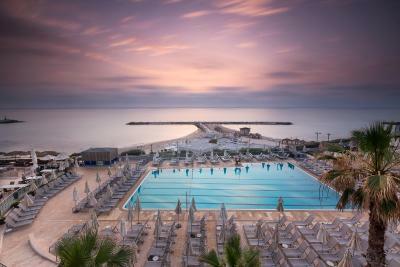 Great location directly at the beach and nice view from the room! Very very comfortable bed. friendly room service. Great pool. We had problems. They were renovating through the night and at 2.00 am we had to change rooms it was so bad. In the morning the items I left in my room which I hadn’t managed to take with me as it was so late had been cleared by housekeeping. I kept my key thinking at 8.00 am I would pop back to the room but everything had gone including toys, my medication and other bits. Never was retrieved. Apologies were useless. The price was very high compared to what the hotel offers. The bathroom was old and not that clean. The breakfast was very poor. Elevators very slow. The room was very very cold. Very poor service. extremely high price for extras.